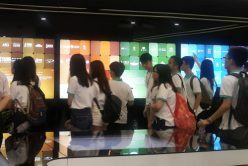 Apart from company visits, Y Society also arranged a tour to the National Equities Exchange and Quotations (NEEQ), to give students a glimpse of the operation of capital market in China. NEEQ is a national over-the-counter equity exchange that mainly serves innovative, growth-oriented, small-and-medium enterprises (SMEs). It is a popular listing destination that gives an easier path for technology companies to reach investors. 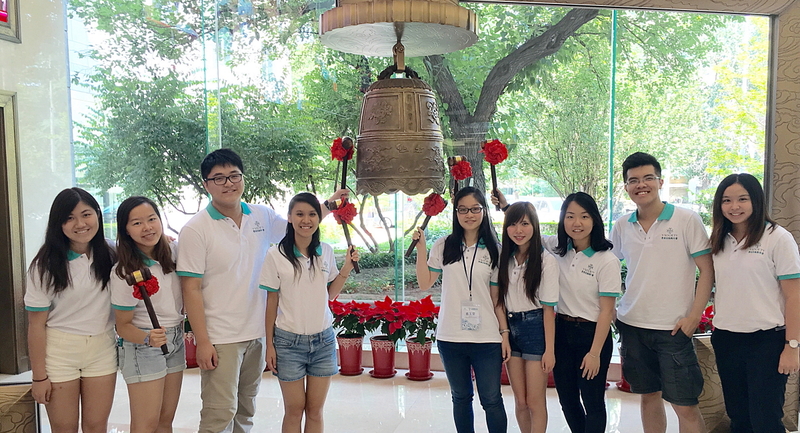 Students were first led to the Listed Enterprise Education Centre. The Centre showcased an overview of NEEQ, covering general information like type and number of companies listed and listing requirements and more company-specific information like their descriptions and share price. 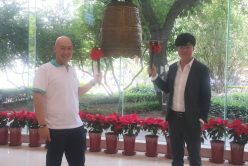 Afterwards, students went to the lobby and got the chance to act as the “senior management” of a newly listed enterprise to ring the bell used in the listing ceremony and take photos with it. In the sharing session, senior management of NEEQ went on discussing the regulations and operations of the exchange. For instance, the listing application procedures, functions of various departments, NEEQ’s role in formulating a multi-tiered capital market, etc. Mr. Dino Ying, the CEO of Hero Entertainment, was also invited to share his view on getting companies listed in the U.S., Hong Kong and the NEEQ from SME perspective. 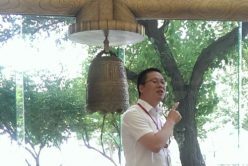 He recognized NEEQ’s role in facilitating financing for non-listed SMEs in China. 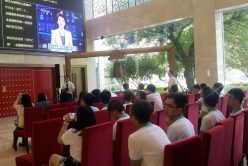 This tour and management’s sharing enabled students to get an overview of China’s capital markets.